Did you know that many people are turning to essential oils for heartburn relief? Modern medicine has conditioned us to turn to the pharmacy aisle, but nature has long since been providing relief. If you suffer from painful heartburn, or if you just have occasional indigestion, you must be aware how uncomfortable life is when digestion is disrupted. Heartburn is a symptom of acid reflux where undigested food and stomach acid is regurgitated into the esophagus and sometimes into the mouth. This can be brought on by many reasons including obesity, smoking, pregnancy, intolerance to some foods, stress, and anxiety, or certain medications. Some of the many symptoms that accompany heartburn due to acid reflux are vomiting, thinning tooth enamel, bad breath, and chest pain. 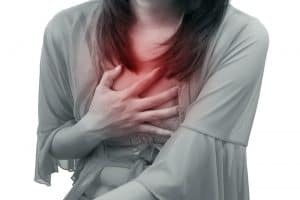 If left untreated, heartburn caused by long-term acid reflux can cause painful chronic conditions which can lead to other very serious health concerns. Different medications include foaming agents which coat inside your stomach, H2 blockers or proton pump inhibitors which decrease acid production, and antacids which neutralize the acid in the stomach. Though heartburn is incredibly uncomfortable, many people are hesitant to take medication due to common side effects such as dizziness, shortness of breath, or long-lasting heartburn. In extreme cases, some people turn to surgery which can lead to difficulty swallowing, bloating, and bleeding. Natural plant-based remedies have been helpful therapies for over five thousand years. This information is supposed to supplement, not replace advice from your doctor. Heartburn can be an indication of much greater health concerns, so it is important to seek medical advice. Yet, while working with their doctors, some patients have reported how natural remedies ease their discomfort to the point where medication is no longer needed. Essential oils for heartburn caused by acid reflux provide a home remedy which can complement medications, or in some cases prevent the need for medications altogether. When using essential oils for heartburn, it is important to find a good carrier oil which feels comfortable on your skin. Is your skin oily, dry, or patchy? The diverse skin types absorb oils differently. Take a small amount and rub it in, wait a few minutes, and take note of how well your skin absorbs the oil and how good your skin feels after. Some of the many oils to try are coconut oil, jojoba oil, hemp seed oil, or olive oil. Mixing essential oils with a good carrier oil will dilute the potency and help prevent irritation. Do you consider yourself ‘high-strung?’ Do your stress and anxiety cause nausea or stomach upset? Organic Lavender may be the best essential oil for heartburn caused by anxiety! Lavender was commonly used in ancient Egypt and throughout the Roman civilization. Its popularity as a natural remedy is just as strong today as it was thousands of years ago. Lavender oil is very gentle on the skin and often added as a natural fragrance to skin care and beauty products. It is also acknowledged for its calming effects and used as a sleep aid. Lavender is known to relieve stress, insomnia, depression, and restlessness. Lavender is also well known as an anti-inflammatory as well as antiseptic, therefore it is helpful for burns, cuts, and bruises. Many people who suffer from heartburn fear the pain caused by eating and therefore develop stress and anxiety around food. Stress can cause a lack of blood flow and oxygen to the stomach causing cramping and inflammation. Lavender has been proven just as effective in treating stress and anxiety as some leading pharmaceuticals. It is instrumental for lowering the heartbeat and relaxing muscle tension. For sufferers of heartburn, Lavender’s calming effect can ease the anxiety around food and promote better conditions for eating. Because Lavender is a gentle essential oil, it is easy to use and is quite easy on the body. Used externally as a rub, Lavender is a wonderful essential oil for heartburn. Mix a few drops of Lavender with the carrier oil of your choice and rub on your stomach and chest to relieve the pain of bloating. Breathe the aroma in deep to promote relaxation and comfort with digestion. Be sure to use a therapeutic grade essential oil for heartburn internal treatment. A therapeutic-grade will be more stable and less likely to irritate the lining of your esophagus or stomach. A few drops under your tongue can provide a quick and easy treatment. Or, add a few drops to a cup of hot tea to sip slowly after meals. This slow mindful action helps with digestion by relieving muscle tension and increasing oxygen and blood flow to the stomach. Some people with heartburn are reluctant to eat because of the pain food causes! A lack of food can cause lethargy and mood swings! Are you tired and moody due to poor eating habits? Maybe lemon essential oil for acid reflux can help you find your appetite again! Lemon is a crisp clean and energizing smell! Lemon oil has similar effects as lavender oil but is often stimulating rather than sedating. It is known for its calming properties while increasing focus, awareness, and appetite. It is commonly used to combat anxiety and stress. Also, heartburn from acid reflux can cause a thinning of the mucus layer in the stomach and esophagus. Over time, this can lead to painful ulcers. Lemon turns alkaline once ingested and helps stimulate the production of mucus, which has helped some people sooth the discomfort of ulcers. If you suffer from ulcers, speak with your doctor about lemon essential oil for acid reflux! To calm the senses and aid digestion, put a few drops of lemon essential oil in a diffuser before any meal. Or, put a little organic lemon essential oil in a spray bottle with water and spritz your house! The smell of lemon is both calming and energizing. Add a few drops to a warm beverage to sip slowly! A couple of drops added to the carrier oil of your choice is a perfect way for you to massage your abdomen and chest to relieve bloating. 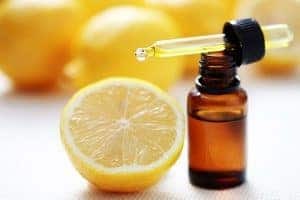 Be careful when adding lemon essential oil directly to your skin, as it may cause irritation. It is best to mix with the carrier oil of your choice to sooth the skin. Have you ever sucked on a ginger candy to relieve nausea? Have you ever taken a bite of pickled ginger to cleanse your pallet after a big meal? If so, you are practicing an ancient tradition which aids digestion! Ginger is the most commonly used spice for the stomach! The oil is distilled from the root of the Ginger plant. This sweet and spicy root originated in southeast Asia and was considered a luxury. Ginger tonic was used to treat many ailments dealing with the stomach. It can be used as an aroma, on the skin, and ingested. Ginger is a well-known essential oil for heartburn, nausea, menstrual pain, morning sickness, and bloating. Heartburn caused by acid reflux may cause swelling and discomfort of the esophagus. Over time, this can lead to painful tears and chronic discomfort. Ginger decreases swelling while simultaneously increasing digestive fluids. If you feel discomfort with digestion, ginger is a fantastic essential oil for heartburn! Ginger is a great spice to add to any meal. You can grate it raw in your soups or hot beverages, make ginger candy chews, or bake it into bread. 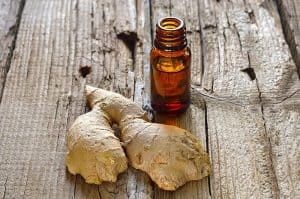 Many people who want to feel fast relief use ginger essential oil for heartburn. Add a few drops of the oil to a hot beverage or put a few drops under your tongue and enjoy the sweet and spicy flavor of this powerful home remedy. Organic peppermint oil is another scent which is energizing and invigorating. It is fresh and bright; often used to uplift spirits. Peppermint originated in the Mediterranean and continues to grow wild in moist climates all throughout Europe and North American. In the 1700s, European farmers discovered the natural cross between watermint and spearmint, then started to grow it commercially. It is now considered one of the most versatile herbs in the world. Valued for its antibacterial properties, peppermint is often added to cleaning fragrances. It is also acknowledged for its ability to alleviate gas and bloating. Bad breath can become chronic, so many people turn to peppermint essential oil for acid reflux treatment. A few drops on the tongue can help relieve gas and bad breath. Peppermint may help some fight tension headaches which accompany heartburn. A few drops of peppermint oil in a diffuser will brighten any room. Spritz your sheets to rid your bed of any pathogens and create a comfortable space for you to rest! Add a few drops to a warm beverage to sip slowly before meals! 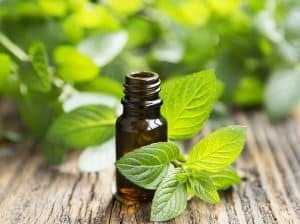 A cramping stomach or painful bloating can be soothed with a few drops of peppermint oil added to the carrier oil of your choice and massage over your abdomen. How many of us chug orange juice when we start to feel as if we have a cold? The strong citrus smell of orange is a powerful way to wake up and feel alert! Wild Orange has very high levels of vitamin C. Most of us know the health benefits of Vitamin C to boost the immune system and focus a cloudy mind. Vitamin C is also important as a mood enhancer. It is also used to increases the body’s ability to absorb nutrients and maintain a healthy level of vitamins and minerals. A consistent regimen of wild orange essential oil for acid reflux has the potential to improve overall digestion and body health. Its lymphatic stimulation helps fight many ailments, balances water retention, and increases detoxification. Because of its high level of Vitamin C, Wild Orange key essential oil for acid reflux! 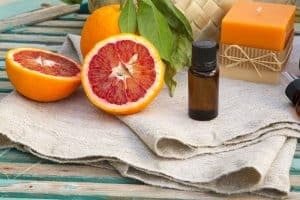 Wild Orange is another essential oil which is great for a diffuser. But a spritz bottle in your refrigerator and use it as a cool mist to help wake up your senses and focus your mind. When used as a rub, wild orange is beneficial to muscle cramps. If you suffer from stomach cramping and pain, wild orange essential oil for heartburn might be the relief you need. Wild Orange can be irritating to the skin if applied directly, so be careful to mix with a comfortable amount of the carrier oil of your choice. While essential oils may not be the best solution for heartburn for everyone, there is certainly a best essential oil for heartburn for you. Each essential oil offers different effects that can ease your symptoms. You’ve suffered far too long with heartburn to just live with it for the rest of your life. We understand that you are tired of stop-gap solutions that come in the form of bottles found at your local grocery store or pharmacy. We know you want better relief and, hopefully, to eliminate heartburn altogether. Essential oils for heartburn have the capability to be exactly what it is you desire. Throughout human history, essential oils have been relied upon to treat various discomforts, including acid reflux, heartburn, bloating, and other digestive issues. Essential oils are not just some new fad that started showing up in your Facebook feed. They have actually been around for centuries and have been a staple in Eastern medicine. Because of their rising popularity and involvement in several multi-level marketing plans, they are often dismissed as a fad. But nothing could be further from the truth. Essential oils have the capacity to reduce, alleviate, and even eliminate much of what you are going through. It is not fair that your body decided you were going to be in constant discomfort, but it is fair that nature decided you do not have to be.